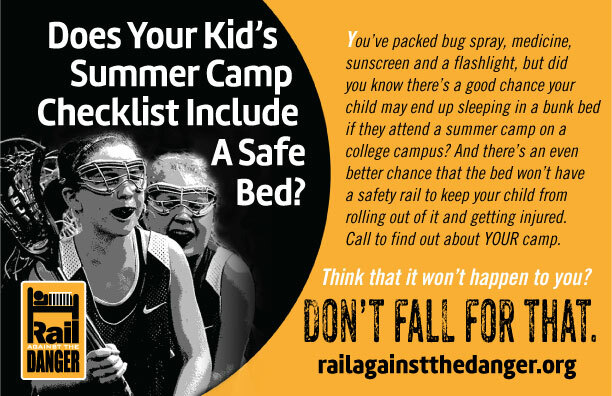 RAD is currently reaching out to make parents aware of a very real danger regarding summer camps held on college campuses. Unfortunately, sleepover camps for sports, music and other disciplines often involve young kids sleeping in dormitories that have bunk and loft beds with no safety rail for protection. Injuries are commonplace and often not reported. Make sure YOUR child is safe! Call your kid’s camp to be sure of his/her sleeping situation!